Members of Sierra Nevada Collegeâs ski and snowboard teams pose slopeside during the USCSA National Championships in Bend, Ore.
INCLINE VILLAGE, Nev. — Sierra Nevada College’s ski and snowboard teams returned the second week of March from the USCSA National Championships with a few more notches on their belts, with strong showings in several disciplines — including five team national championships, and seven individual national championships. This year’s USCSA National Championships were held in Bend, Ore., and pitted some of the best U.S. collegiate skiers and snowboarders who qualified based on competition during the 2016-2017 winter season. For complete USCSA National Championships results visit USCSA.com. 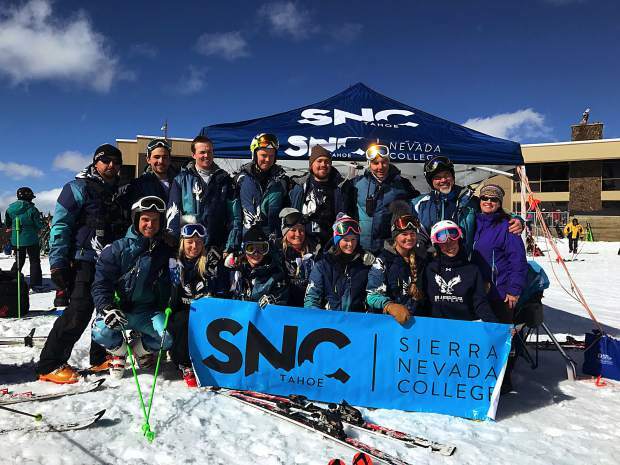 This article was provided by Sierra Nevada College. Visit http://www.sierranevada.edu to learn more.